This is an alternate cover edition of ISBN1517341388.Mia’s stuck in the human realm and her magic has gone AWOL. Her sworn enemy Greyson swoops in and kidnaps the powerless Mia, ensnaring her in his spider’s web with an offer to restore her magic. Oblivious to the risks, Mia accepts, what will be her destiny?Ryder visits London with his friends, and Fusion enters the BattlThis is an alternate cover edition of ISBN1517341388.Mia’s stuck in the human realm and her magic has gone AWOL. 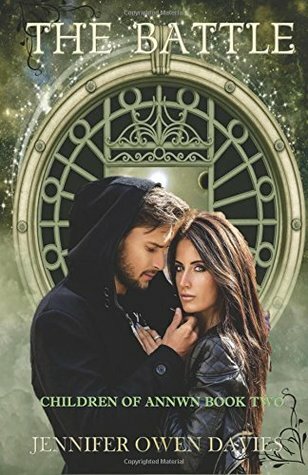 Her sworn enemy Greyson swoops in and kidnaps the powerless Mia, ensnaring her in his spider’s web with an offer to restore her magic. Oblivious to the risks, Mia accepts, what will be her destiny?Ryder visits London with his friends, and Fusion enters the Battle of the Bands competition, believing the location of a portal to be nearby, but he’s bewitched by a beautiful siren. In a blood-thirsty battle for control, Ryder breaks all the rules bringing out the ancient blades and calls upon the Alltud, an arcane group, but will they help?A battle commences to control not only Mia but the Gilgamesh, an omnipotent magical power in her possession. Ryder has agreed to end her life if she fails but will he be able to sacrifice the love of his life? It's time to put the greatest power of all to the test! A fast-paced YA fantasy, this is the second in the “Children of Annwn” series. Read full review in the 2015 July/August issue of InD'tale Magazine.